Engineering has shaped Canberra to the thriving City that it is today. 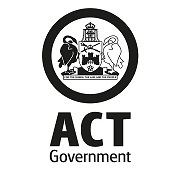 Come along to see the engineering heritage of the ACT and the visit some nationally recognised Engineering Heritage sites with a bus tour and launch of the Engineering Heritage Self Drive Tour Brochure for the City, Yarralumla and Northside. Engineering has shaped Canberra to the thriving City that it is today. Come along to see the engineering heritage of the ACT and the visit some nationally recognised Engineering Heritage sites with a bus tour and launch of the Engineering Heritage Self Drive Tour Brochure. Phil Willis will be your guide on the tour. Phil's principal interest is preservation and recognition of heritage bridges and associated structures. His interest has since expanded, although it still focusses on civil engineering projects. Following a relocation to Yass in 2013, Phil joined the Canberra Division Engineering Heritage Committee, which had since expanded its area of interest to include not only Canberra but also the hinterland. However, to date its activities have remained focused within the ACT. Phil has spent 50 years working on civil projects primarily for local governments. His interest in (engineering) heritage was piqued initially by the preservation of the “Marked Tree” in Katoomba NSW. This was enhanced by the upgrading of Echo Point, Katoomba, and the restoration of the Lennox “Horseshoe” Bridge at Lapstone in the Blue Mountains.